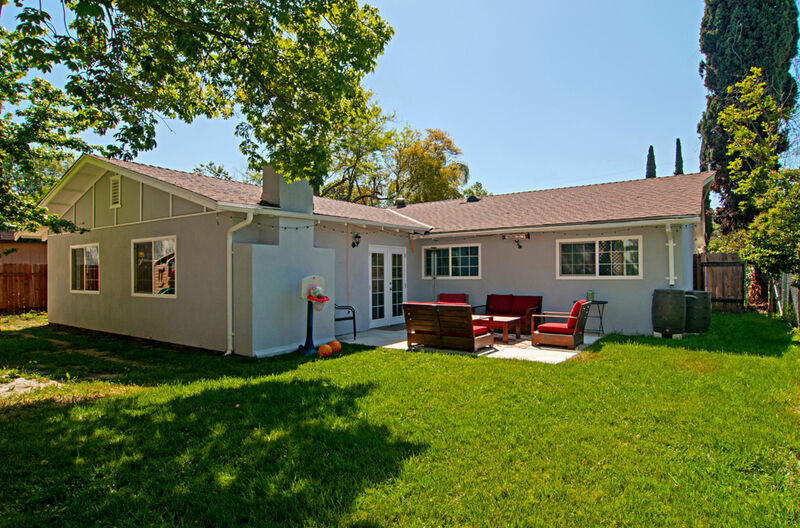 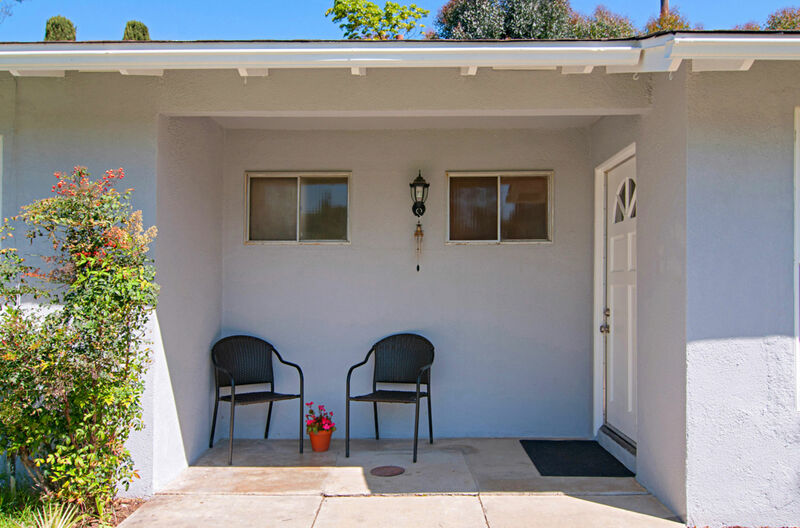 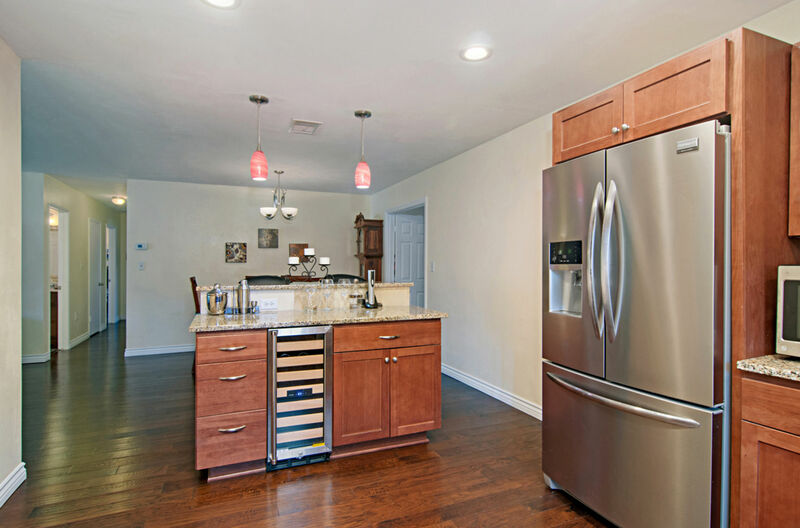 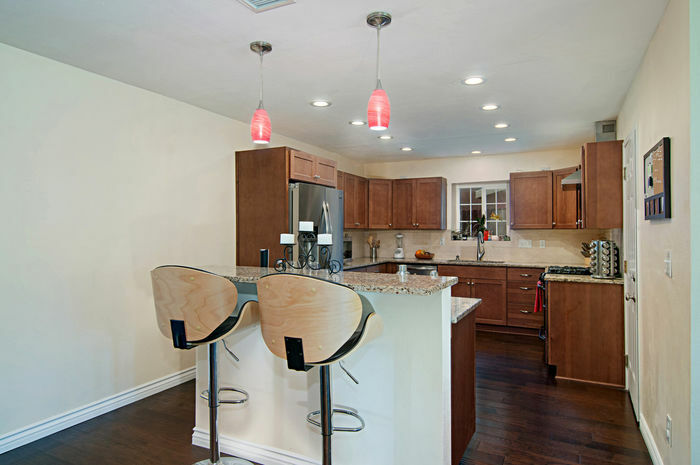 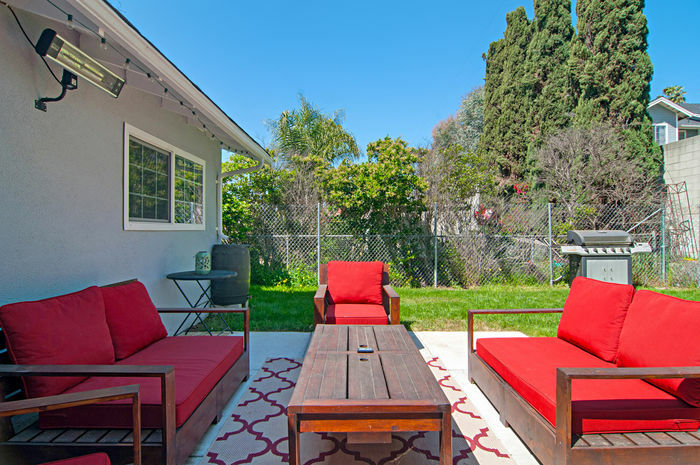 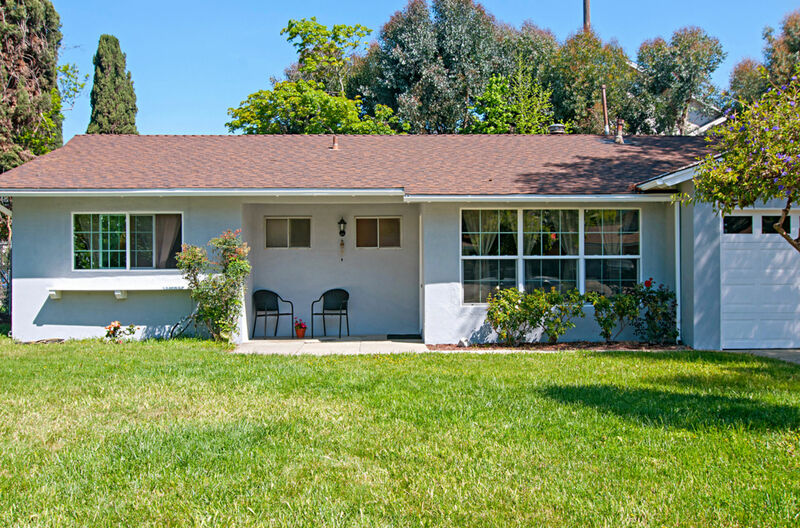 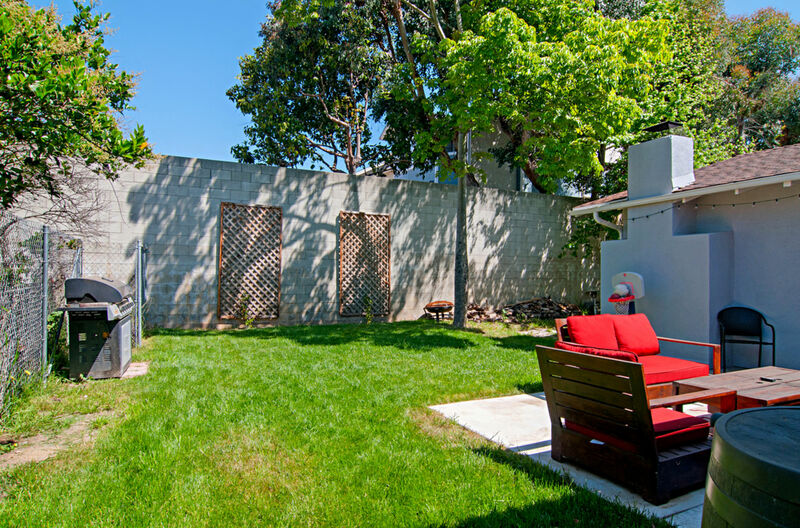 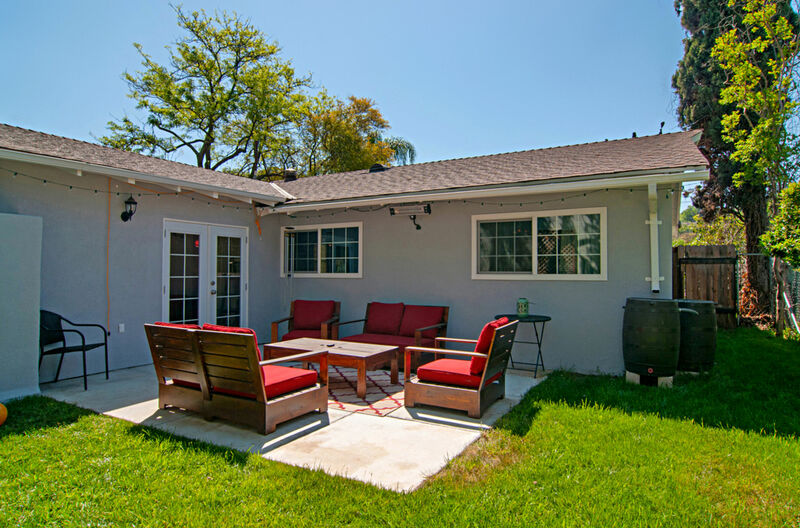 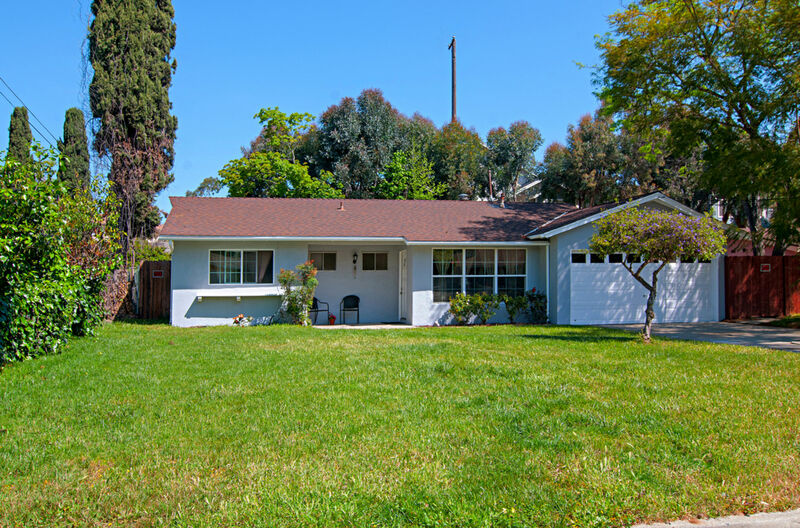 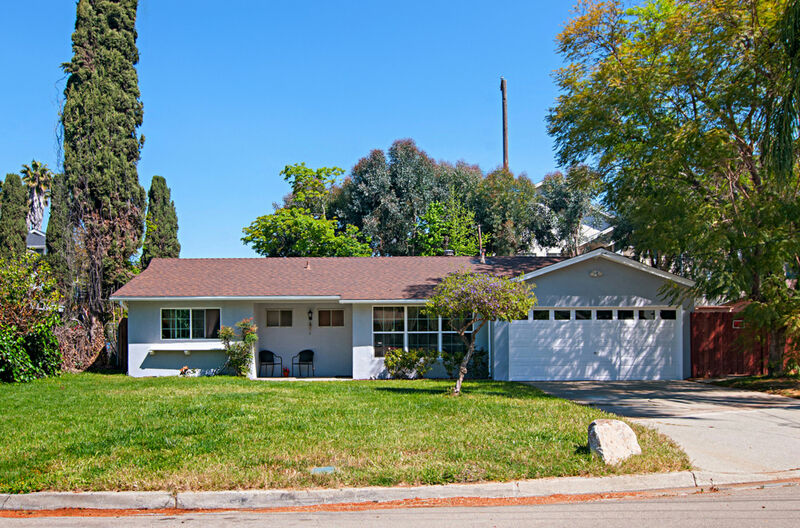 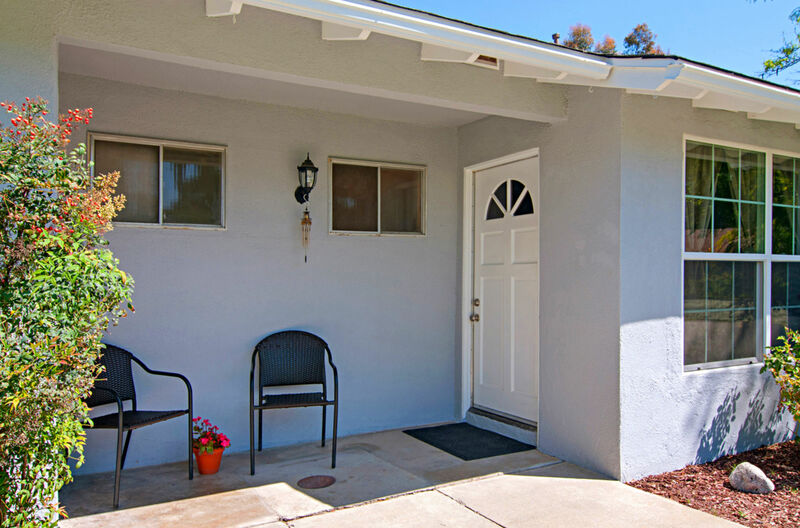 BEAUTIFULLY REMODELED single story home. 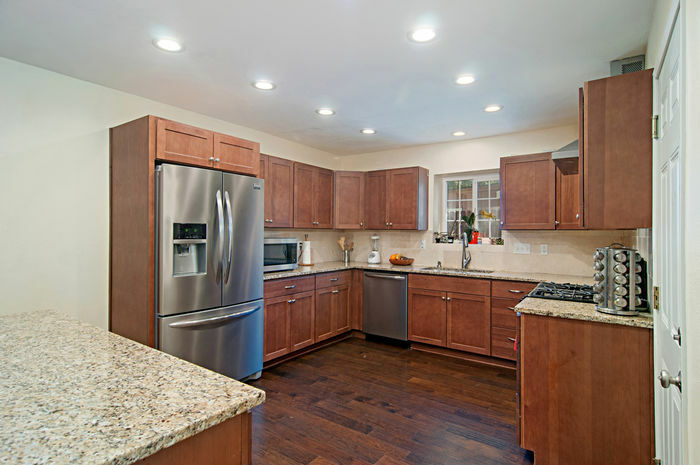 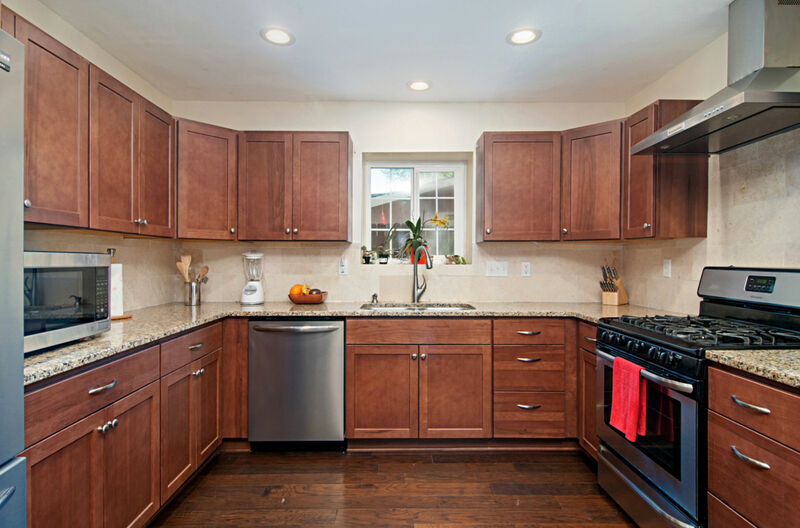 Upgrades included new kitchen cabinets, granite counters, stainless steel appliances, wine bar, hardwood floors and much more. 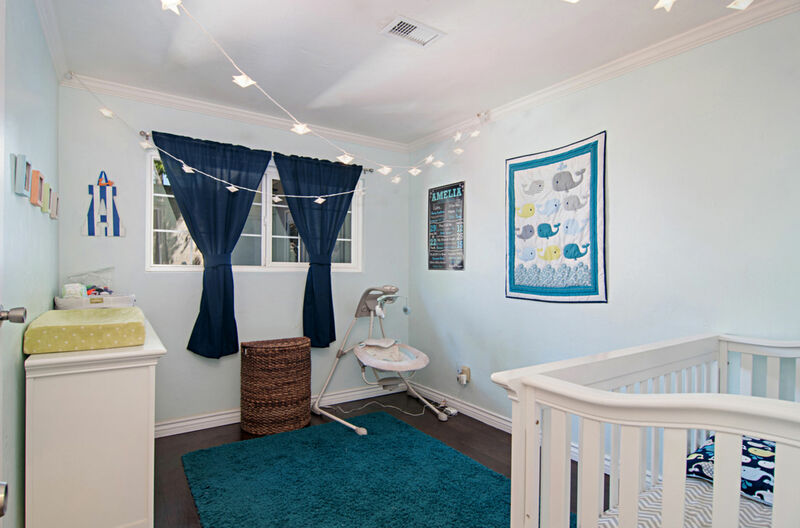 The master suite is complete with walk-in closet, full bath and door to the backyard. 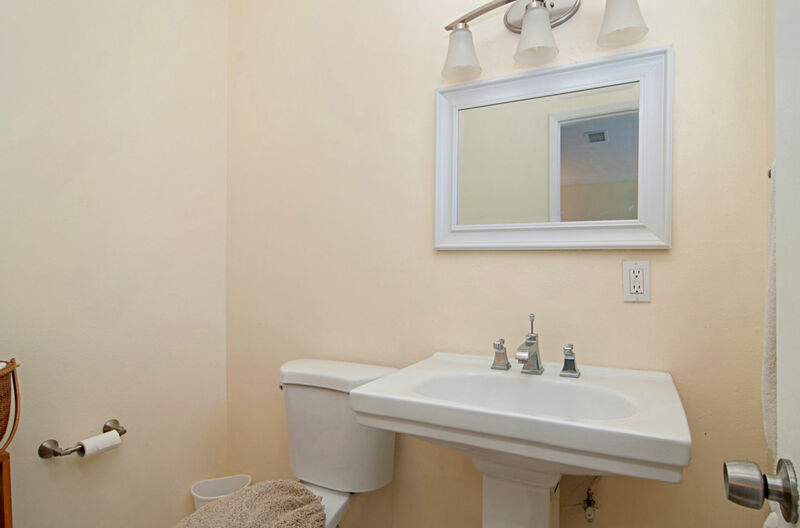 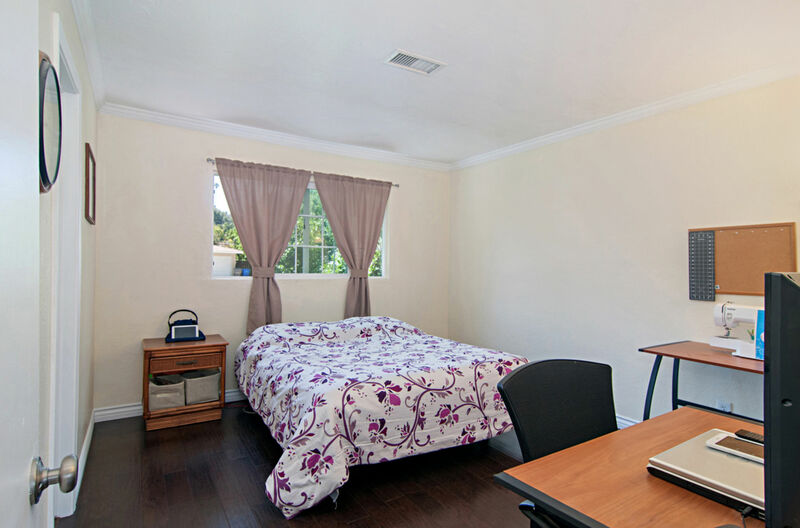 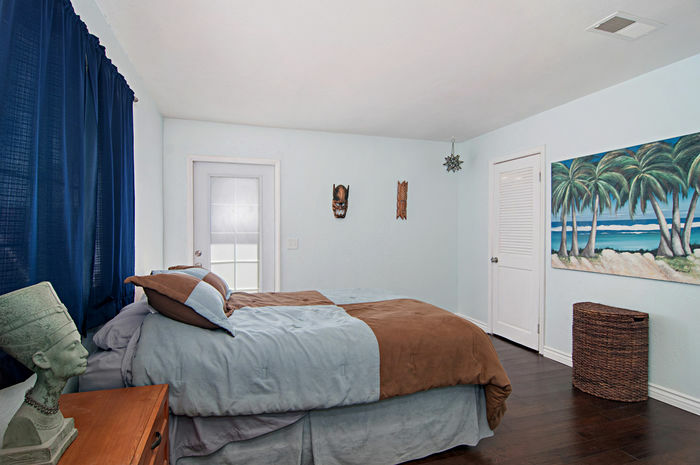 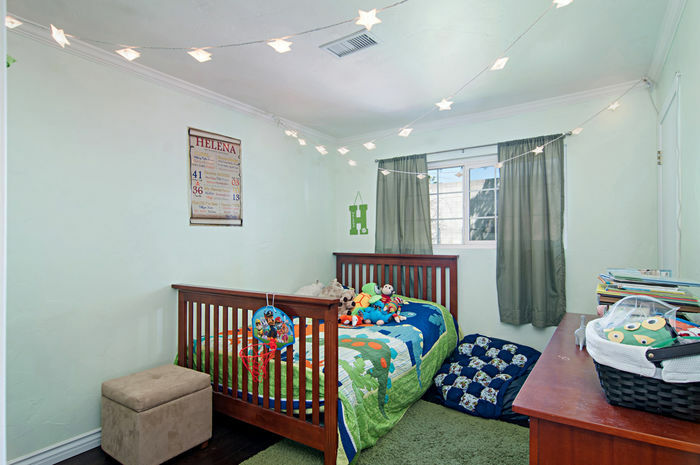 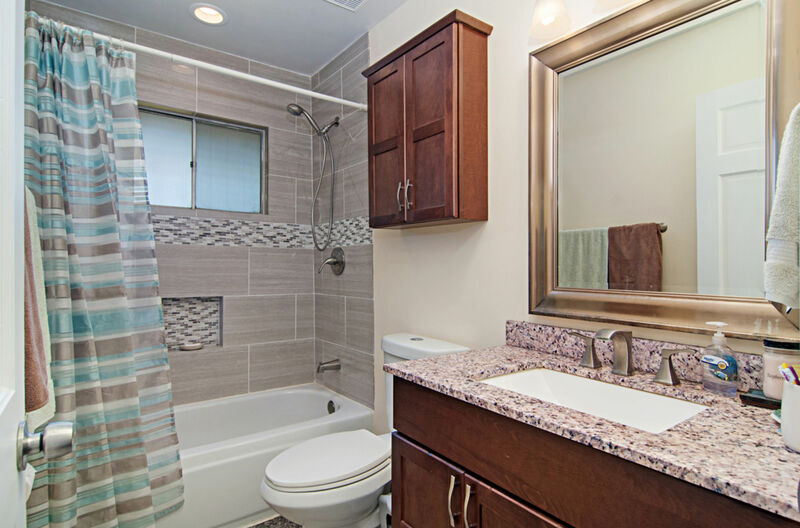 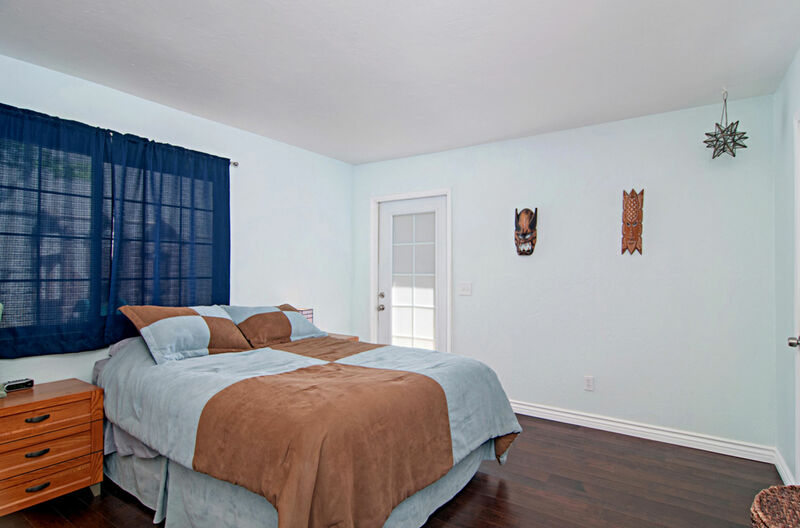 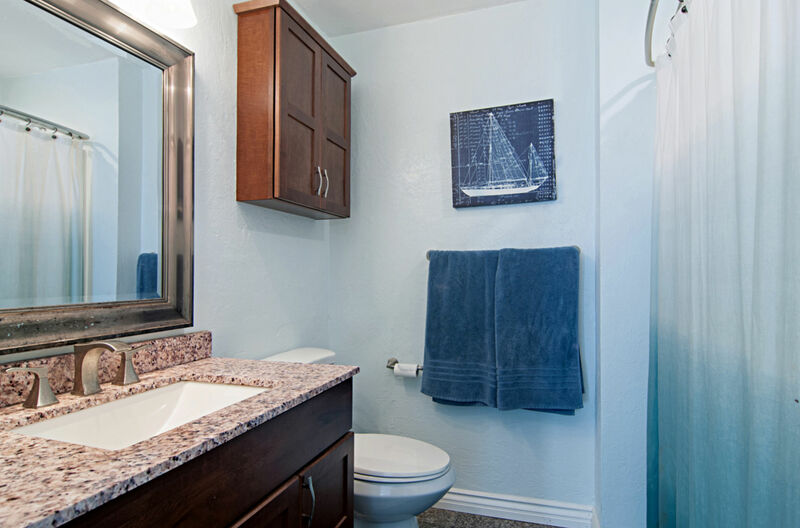 Three more bedrooms are at the opposite end of the home with two sharing a hall bath and one with a private bath. 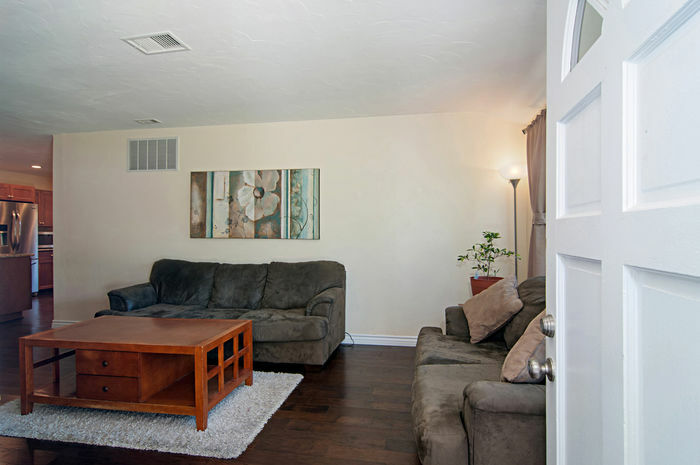 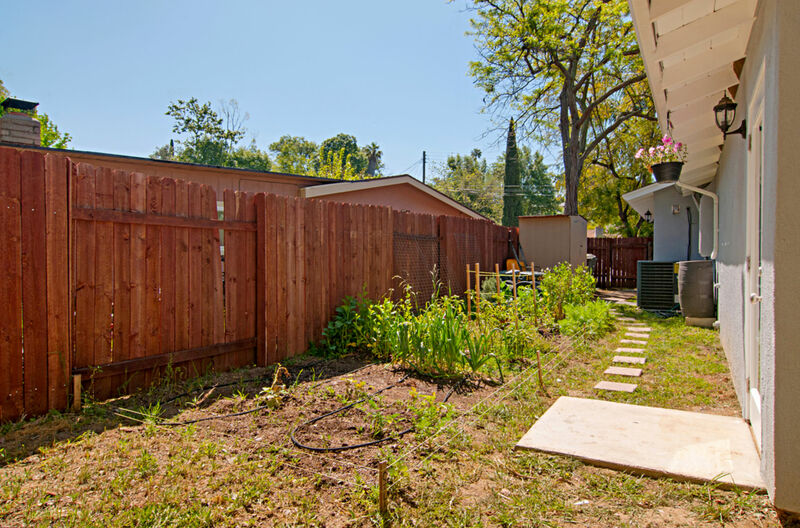 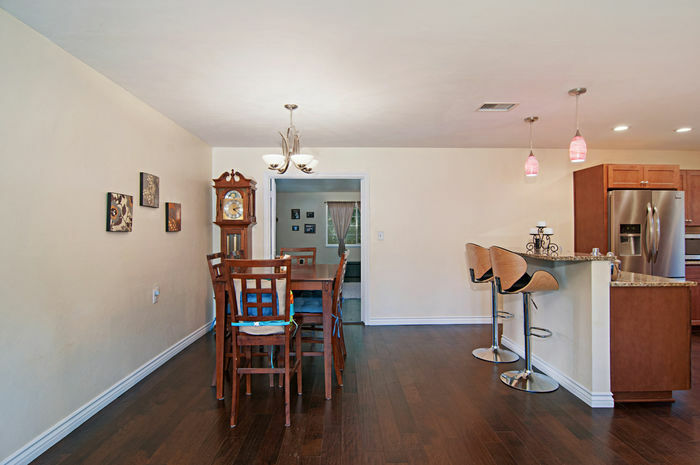 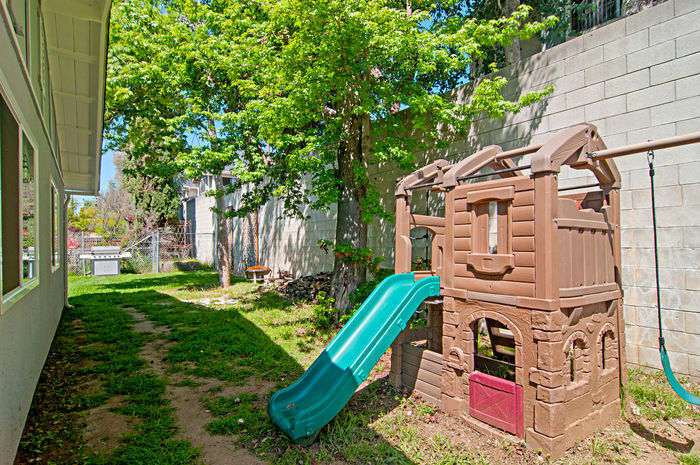 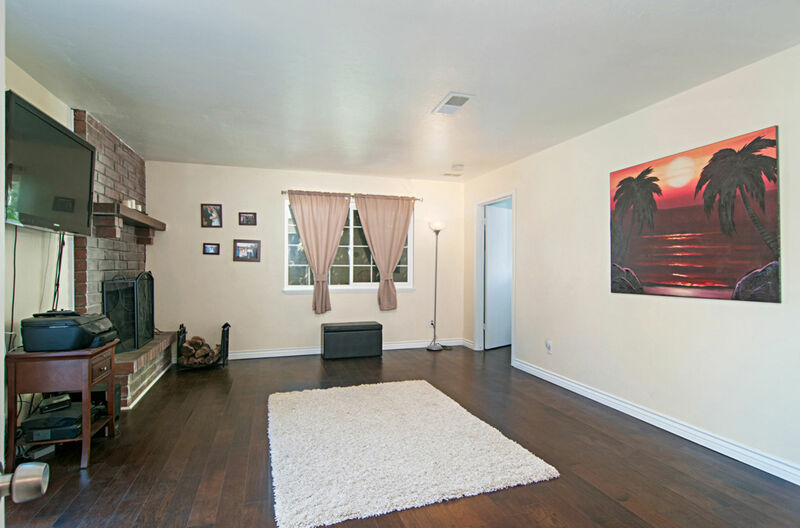 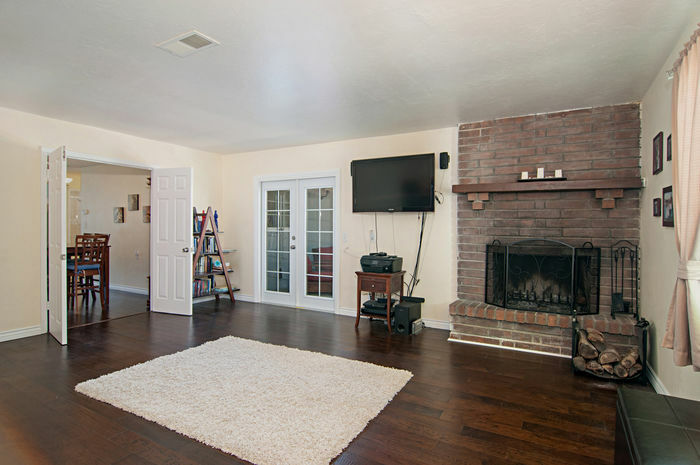 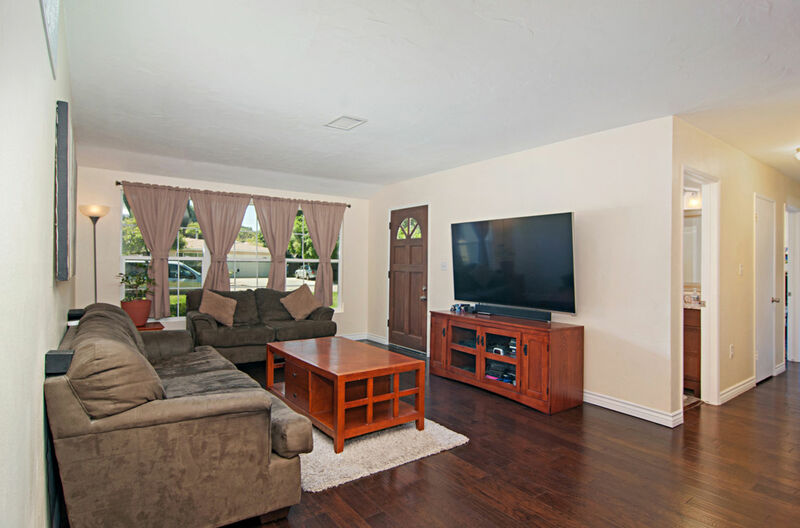 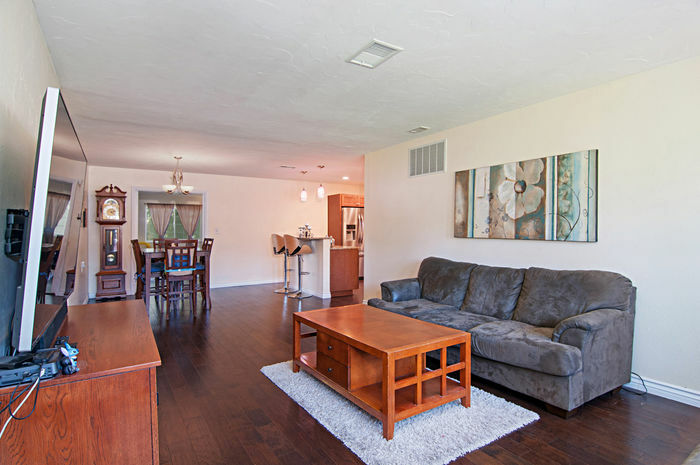 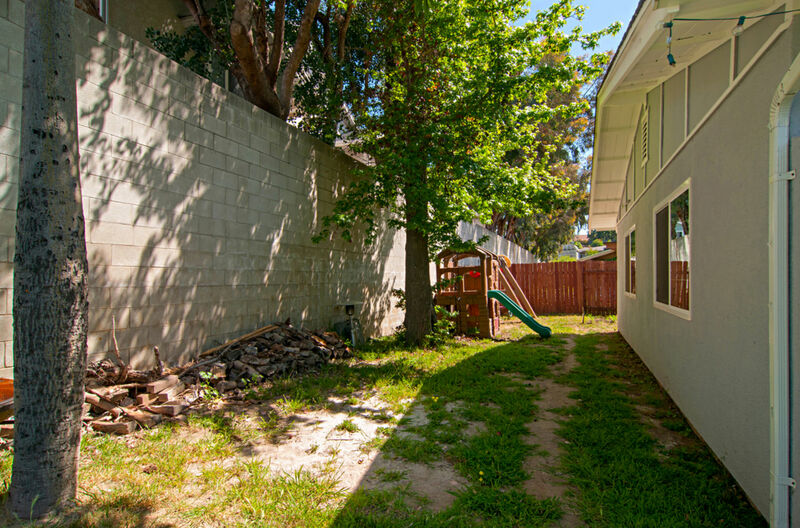 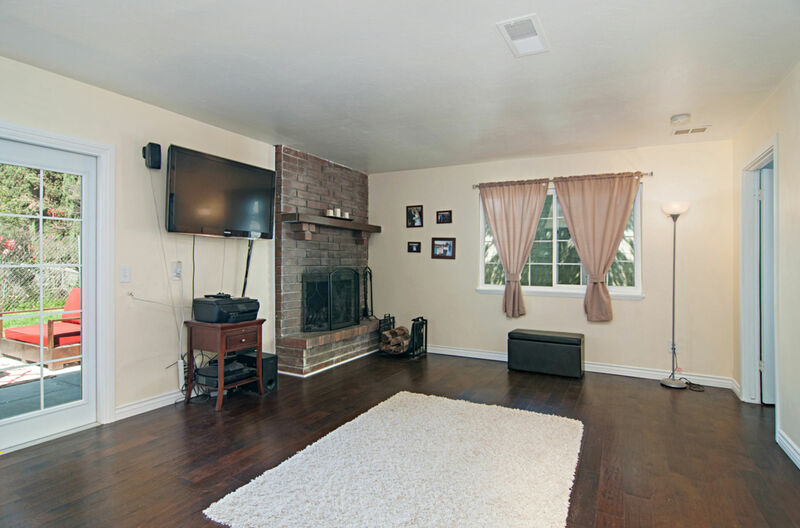 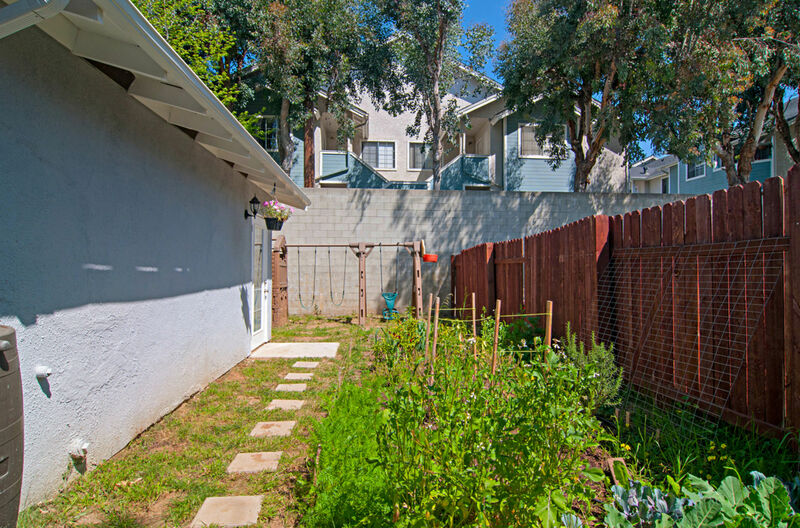 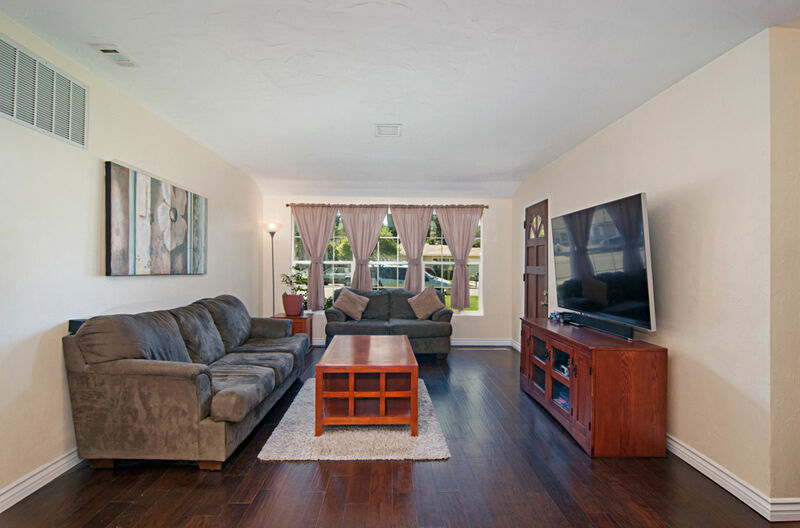 The family room has a cozy fireplace and French doors that open to the patio, spacious yard and garden area. Close to shopping and schools.